COLUMBIA, MD (January 25, 2017) – Factory Athletics announced today a new strategic partnership, becoming the Official Player Development Partner for PONY Baseball and Softball, that will provide amateur players across the country with new opportunities to develop their baseball and softball skills. The organizations will work together to provide PONY members with accelerated training events, showcases and baseball and softball clinics to supplement their experience with their local PONY Baseball and Softball teams. PONY Baseball and Softball began with organization of the PONY League in Washington, PA in the summer of 1951. Initially created as a transition league for 13-year old and 14-year old players, PONY was designed to take graduates of Little League Baseball from smaller diamonds to the regulation-size diamond. Growing by word of mouth, the original six teams in Washington were joined by 505 others in 106 leagues around the country and, in 1952, the first PONY League World Series was held. Factory Athletics is the nation’s leader in providing athletes with honest evaluations, player development and college recruiting guidance. With over 100,000 alums reaching their dream of playing in college, and those players receiving over $1 Billion in scholarships, Factory Athletics is the premier organization in America for helping high school athletes. Factory Athletics begins working with players as early as Middle School, as their player development system has proven that players who start sooner experience more success, have more fun on the field, and are able to grow their game to reach their full potential. Through the partnership, PONY players, as well as coaches and league directors at all levels, will work directly with Factory Athletics to increase player development. Factory Athletics will also provide college recruiting guidance and event opportunities to create exposure for PONY Baseball and Softball players. The mission of PONY has always remained organizing baseball and softball programs for young people and creating a safety first/fundamentally sound and challenging game for children of all ages. 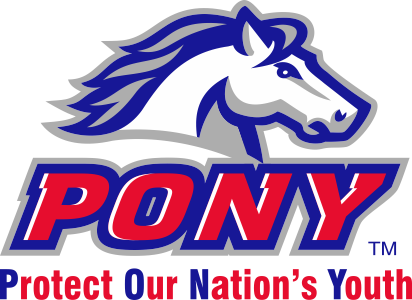 Since its initial inception, PONY (“Protect Our Nation’s Youth”) has sponsored a nationwide youth program, with more than 500,000 players participating in PONY annually. Factory Athletics has developed programs to provide players with world-class instruction and life-changing experiences, which when combined, lead to future success both on and off the field. Factory Athletics holds over 800 events nationwide each year in all 50 states and over 150 cities. We pride ourselves on giving families an unbiased assessment of where they stand against other players nationwide. Through the Baseball Factory division, our events have featured more than 400 players who have played or are currently playing in the Majors and over 100,000 players have gone on to play at the college level. 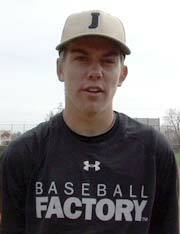 100% of Division I, 98% of Division II and 98% of Division III programs have at least one Baseball Factory alumnus on their roster. Learn more at http://www.factoryathletics.com/.